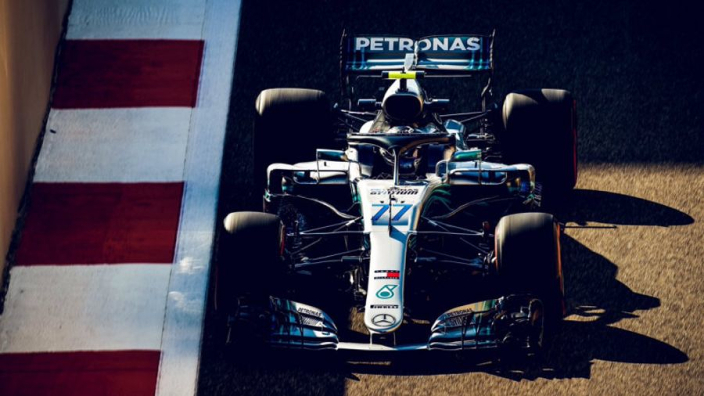 Valtteri Bottas raised hopes of ending his 2018 drought at the season-ending Abu Dhabi Grand Prix after ending Friday practice as the fastest driver, with the Red Bull of Max Verstappen his closest challenger. Verstappen led Daniel Ricciardo in a Red Bull one-two in FP1, before clocking within half a tenth of a second of Bottas in the following session. Bottas set the best time of the day with one minute 37.236 seconds, with Verstappen just 0.044secs off the pace as his strong end to 2018 continues. Only Rubens Barrichello (2001) and Mark Webber (2013) have failed to take a race victory in a championship-winning car since the turn of the century, but Bottas has form behind him at the Yas Marina Circuit, having won from pole and setting the fastest lap in last year's Abu Dhabi race. A podium finisher in six of the last eight races, Verstappen was strong yet again on Friday and Red Bull appeared to be much gentler on their tyres than the Silver Arrows and Ferrari, to suggest that an advantage could come their way once again – as it did for the Dutchman in Brazil until his collision with Esteban Ocon. Kimi Raikkonen led Sebastian Vettel as Ferrari were in fifth and sixth, but the red cars will be expected to turn their engines up come Saturday – having run a few tenths off Bottas' headline time. The Ferraris were among a host of drivers to complain of graining on front tyres, while the entire field was concerned as the exit kerb at Turn 20 crumbled through the day – something that the FIA are likely to address before qualifying. Haas took best of the rest honours, with Romain Grosjean in seventh, ahead of Renault's Nico Hulkenberg, teammate Kevin Magnussen and Esteban Ocon in a Force India which has been protested by the American team – a decision is set to arrive before Saturday's FP3 on their participation.